You work hard all week and look forward to the weekend, a time to relax and enjoy family and friends. But, sometime during the week, you look down. You aren’t happy with the condition of the carpet. So you make a decision to rent a do-it-yourself carpet cleaning machine from your local grocery store. That’s right… you are going to clean your own carpet. 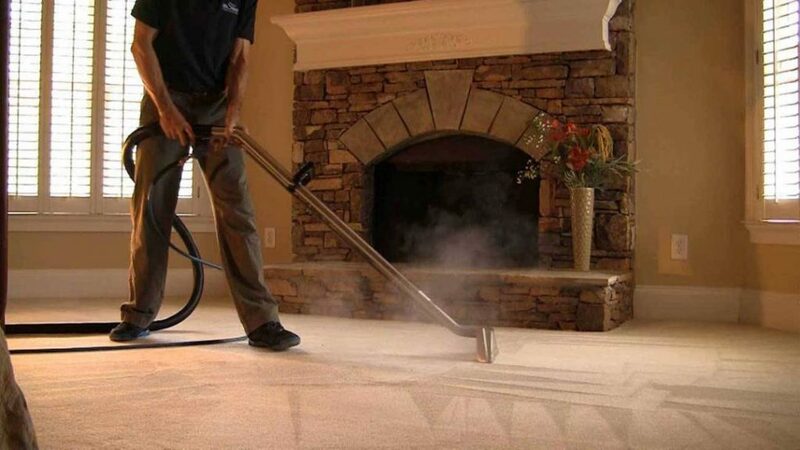 Your goal this weekend is to create a nice, fresh and clean carpet and enjoy a healthier home. Friday evening arrives. Off you go to the home improvement store and you find yourself in front of a bunch of do-it-yourself cleaning machines and the various cleaning solutions available. There are products to put on the carpet before you clean it. There are products to put in the machine with the water. There are other types of products for all kinds of spots and stains. Still others for pet odors. You aren’t sure which ones you will need, so you grab a selection of them and take them to the front of the store to pay. At the register, while paying for the daily rental of the carpet cleaning machine, you discover the cost of all those cleaning products is about what you spend on food for the family for an entire week. But you aren’t deterred! You are going to clean your carpet. Nothing will stop you. So you go home with all your cleaning stuff and get started. It takes all your Saturday and, sad to say, part of your Sunday as well. It’s backbreaking work. You had no idea what sweating was really like. Yet… it looks pretty good when you are done. The bad part is it takes a few days to dry and you yell at the kids to not walk on the carpet & your back is aching. Within two weeks, though, the carpet starts to look worse than before it was cleaned. Uh oh… what happened? You didn’t call your carpet cleaning pro! We have the training and the very best equipment and cleaning solutions to get the job done right. We’ve been cleaning carpet for 23 years! Don’t ruin another weekend. Do the smart thing and hire TCM to get your carpet cleaned! In May our summer schedule starts to fill up fast so if you have a certain day in mind call asap to reserve a spot on our schedule.